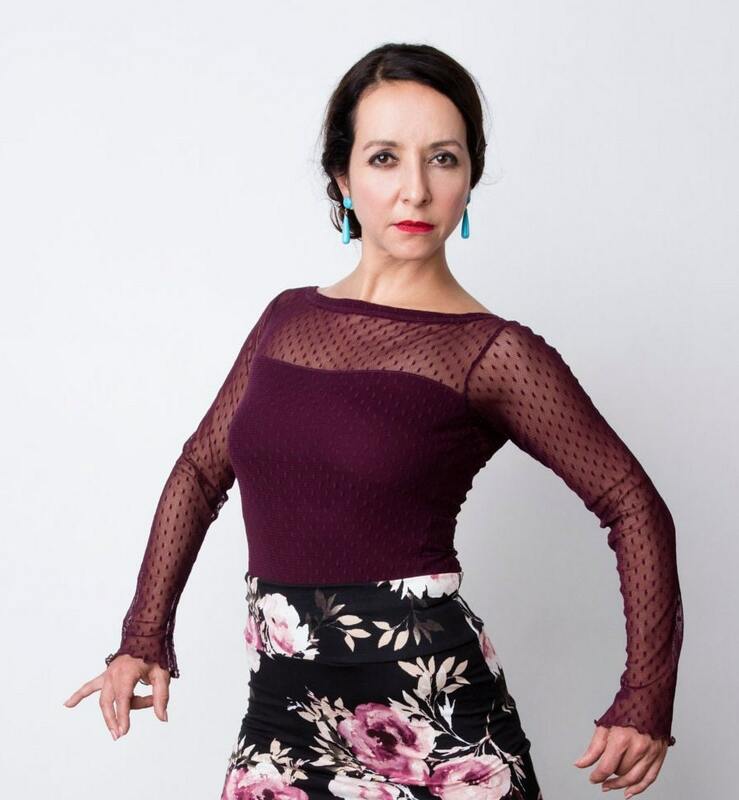 CANDELA top for flamenco performance or for everyday wear. This flattering boat neck top is made of sheer aubergine mesh with tiny dots, partially lined. Long slim sleeves have a slight flare at the wrist. Sizing: S (Aus 6-8) and M (Aus 10-12). Please message me before ordering if you’re at all unsure about which size to order.